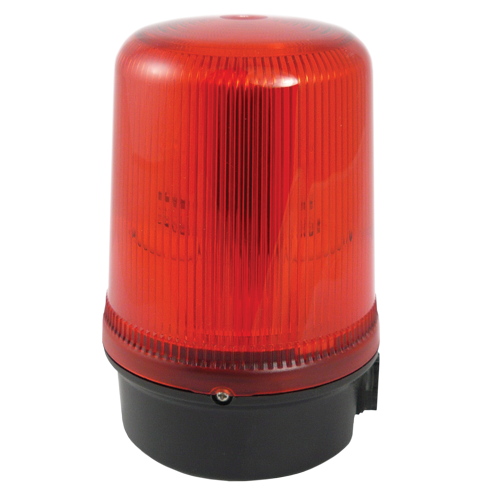 High impact resistant & weatherproof, permanent industrial signalling beacons with accessories for various mounting options. 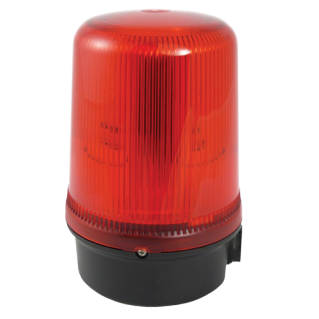 – 5J xenon strobe beacon. – Synchronised 1Hz flash with adjacent beacons connected to the same supply. – Flash rate: 60fpm (also 90fpm and double strike flash on DC powered versions). – Temp Rating (degrees C): -25 to +50. – Construction: ABS base, polycarbonate lens. – Lens Color: Available in – amber, blue, clear, green, red & yellow. ESSB300RAB001 B300 wall mount bracket accessory. ESSB300TMA001 B300 tube mount (137mm high) accessory. ESS9B300S B300 lens (specify colour) accessory.